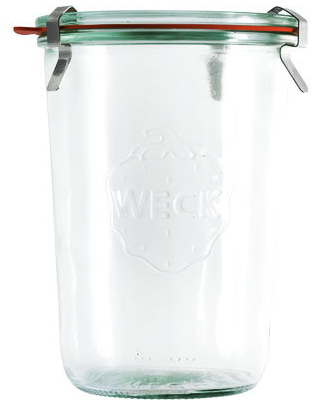 Weck jars | Ooh, my favorite! I happened upon these Weck canning and storage jars (from Germany) just a few weeks ago and used them for the pickled chanterelle recipe; I really am not sure if I was more giddy over the mushrooms or the jars. Since tomato canning season isn’t for quite a while, I’m most excited to use these in place of plastic storage containers for leftovers. But then again there’s also their juice line that has so many potential uses, I’ll have to add a few of these to the list too. A great carafe shape with an air tight lid: score! Available here in sets of six. 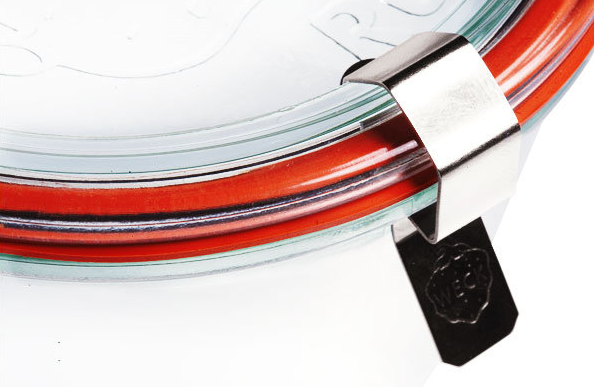 Thanks for posting about our Weck jars! We just added more styles to our store this week. Thanks so much, Mary. I just adore all of your products. I can’t wait to add to my collection.